Events: Short Metric 36 arrows at 50m, 36 arrows at 30m. 80cm full face. Classes: Compound, Recurve, Barebow, Longbow. Age Groups: 40+ and 65+. 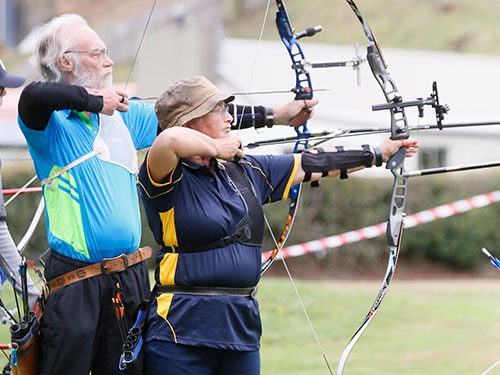 New Zealand Archery rules apply, including dress & footwear codes. Competitors must have their own gear. Due to our ground setup, entries are limited. Entries close: Monday 31 December 2018, or when entry limits are met.